I am semi retired after spending time as a teacher, USAF officer, and academic advisor and counselor. I have lived in California, Illinois, and now Alaska as well as Australia, Spain and South Korea. I have 4 wonderful children and 5 grandchildren. 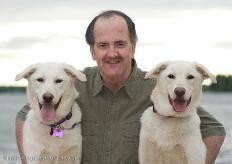 My wife and I have 13 rescue dogs, most of whom were mushing dogs but who are now retired to a life of Riley. I enjoy writing (novels and screenplays), travel, cooking, astronomy, and music. Besides helping family (get my sons student loans paid off and getting all children debt free) my main goals are to help homeless vets and abandoned and abused animals. from profits made in my business. My name is Nancy. You and I have a lot in common. I love dogs, any animal really and I've always been interested in writing. I did a bit in school and wrote a bit of poetry later on in life but haven't really pursued it like I'd like. I'm also a voracious reader. And helping homeless Vets has always been one of my goals. Hopefully this career path will allow me to indulge my passions. It's always nice to meet a kindred spirit. May you have great success in your writing and in meeting and surpassing all of your goals here. For a good affiliate program join me selling CBD. It is now legal in the USA, UK, Canada and other parts of the world. It is a great health herb. The company is located in Florida and have a great affiliate program. Visit my site raybrannum.com to learn about this great affiliate program. Best of luck with WA, they are the best place to learn marketing. Thank you for adding me to your network. I've added you to mine as well. And, first off, I want to say thank you for your service. And I also want to say bless you for having such selfless goals. I've got quite a few current and former military folks in my family, so that's close to my heart. But I also am a HUGE animal lover. So thank you for what you already do in that respect. It really does warm my heart to hear how your rescue dogs are living the "life of Riley." ;) Please give them all pets for me! Best wishes to you on your journey here at WA! May you achieve all your goals and then some! Hi Kevin, thank you for following me. I will be following you as well. Welcome to WA. I retired from the Air Force reserves myself in 2015. You have a great bio. I admire your goals. I have written a couple plays and a screenplay myself. So I can appreciate the work you have put into them. I am related to one academy award winning uncle George Seaton that was a screen writer and director in the film industry. His film was "Miracle on 34Th Street." You can Google his bio to review his other credits. Building this web-site is forcing me to stir up my creative juices and exercise them. Hi Kevin, thanks a lot for following me! I'm following you back. I read your profile and see that you just recently joined WA a couple of months ago - Welcome to the WA Community! I've been a member for about 10 months and I've learned online strategies that I didn't know existed. I'm looking forward to learning more new strategies. I hope that you prosper in every area of your life and reach financial freedom! Cheers! Hello Kevin nice to meet you sir. I am Rob Vela from the local New York City area. I see you have accomplished a lot in your life. I loved reading your wa profile. Totally awesome. Hay Kev i see you have 2 more great goals on the horizon resucing animals & helping the homeless. All i can say is WOW!!! I represent a new exotic health and nutrition business that is branching out to include the environment. good! You are helping dogs in need. I wish I could say the same, but living in Asia, made that an impossible task. Hey, thanks for the follow, and I will follow you back! Good luck here on WA. Learn and EARN is my motto....still learning after 6 month. Hi Kevin and thank you for following. I am of course delighted to follow you in return. It's great. Since I don't believe in coincidences I am grateful that I am being led in a new direction. I have two ideas for web pages to get me started. Last night I had an epiphany for a new one that has risen my excitement level and will mesh quite nicely with my interests, talents and skills, unlike the others that I would have to do research on. Here we go, a new direction but the right one! Thirteen dogs is remarkable. Allowing them to live well is a blessing for them and for you and your wife. I look forward to continuing building my site as I am a newbie. Thanks for sharing a beautiful blog and for your service! Hi Kevin, welcome to the WA community! Thanks for adding me to your network! Congratulations on upgrading to Premium Membership which will open up expanded avenues for learning. And yes, you have landed at the right place, at the right time to incorporate the many techniques and strategies you will implement towards achieving your business goals! Self development is a trap niche, as is the "life coaching" niche. Whom do you want to help specifically, self develop what? Someone looking to develop better skills in their relationship with their spouse or someone looking to get over their fear of public speaking, or someone looking to......etc? You need to narrow this down to something that is more specific. Good morning, Kevin. Thanks for placing your trust in me by including me in your network. I am semi-retired too and hope to interact with you again in the near future. WA has crafted an excellent Programme for success. I am looking forward to enjoying it with you. I am reciprocating your following me. Thanks for the follow, if I can help at all I will aside from the fact that I like helping other people I also am trying to help retired Royal Engineers get back on their feet after leaving the Army in the uk. Having come from an unpredictable childhood has had the benefit of seeing others behavior a bit more keenly and this awareness of giving, is a priceless quality. destructive self-serving attitude among far too many...something will surely give without a conscious decision to make a difference. you sound like someone I could sit and talk to for ages. Beautiful dogs you have in your piccy. You must believe in extremes, from Alaska to Oz phew how do you do it? You've got some great goals kids can struggle a lot these days. Welcome to WA and to Premium, Kevin! You'll find great training, helpful members, and a lot to implement when growing your online business. I like your why for the profits you earn. I believe that there should "not" be any homeless vets, nor should there be any abused animals! Ugh! ;( When someone has served our country, they should have the help they need for the rest of their lives. Period. :) Thank you so much for serving our country! I wish you great WA success! Thanks for your encouraging comments. Continued success to you. Hello Kevin,♫Welcome! I am so pleased you found WA. Nice to meet you ツ I wish you a lot of learning pleasure and fun at WA. Thank you for adding me to your network. Hi, Kevin. Welcome to WA. Thanks for following me. Followed you back. I really enjoyed reading your bio. 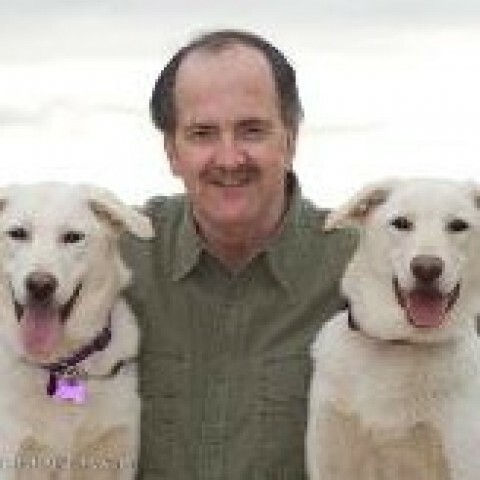 I think it's wonderful that you are so active in rescuing sled dogs. I also have a lot of respect for your working with homeless vets. I have rescued several furkids over the years. Currently have a pointador who is very shy, but is getting better, and a Hemmingway cat with 6 toes on each of his front feet. Both are rescues. Best wishes for your success at WA and with your "pet" projects. My stay with WA since 9/2017 has confirmed the above is totally true. Very good advice I am looking forward to learning all that I can and to contribute what I can to help others. This is a great community and I am very glad I found it. People like you are what makes it so good. Thanks, but feel flattered. But I am surely ready to help each other. Any Q? Please ask and someone in WA community will definitely come along for you. Great memories. You probably wouldn't recognize Anchorage and the surrounding areas now. We can see Denali (Mt McKinley) from the road gong to Fairbanks and you're right, you don't get close to it. A few times I flew on Alaska Air to Fairbanks, pilots would fly close to it to give passengers a close up view. That was fantastic. Enjoy your day, and thanks for sharing the memories. Good luck here. Thanks for the follow, Kevin. I've added you to my network as well. Thanks again for connecting. Have a positive and productive day! Welcome to WA, I enjoyed reading your profile, you seemed to have a great zest for life and involved in a lot of areas, good for you. I am sure your efforts here at WA will prove just as rewarding as your other ventures, enjoy the journey. Thanks for the follow, I have returned the favour and look forward to seeing your success. A warm welcome to WA Premium Kevin. May your stay with us be a blessed one.